Explore the beautiful market town of Bishops Waltham located in the delightful countryside of Hampshire in the Meon Valley area. Discover this charming town with this interactive QR trail walking you through the sites of Bishops Waltham. Scan your smart phone over the Quick Response codes to access historic information and make the town come to life. More information on each site visited in the trail can be found at the links below or by scanning the QR codes at the attractions visited. 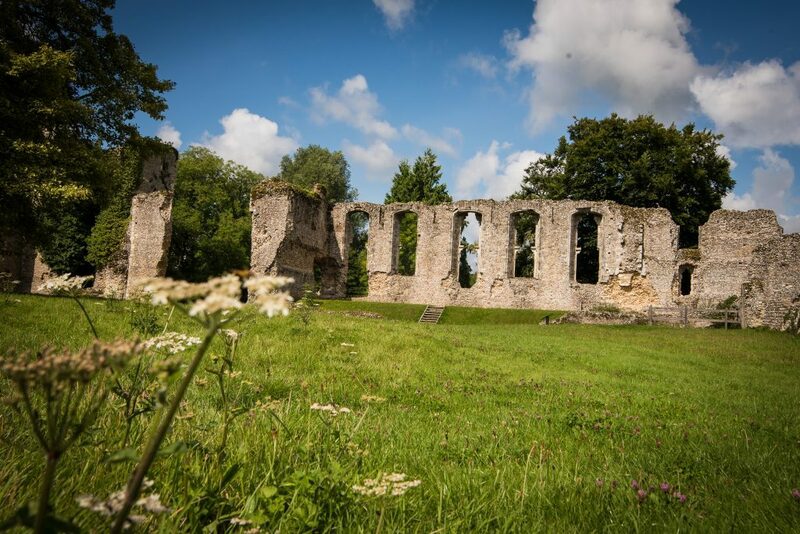 Begin your journey at the Bishops’ Waltham Palace, which was built in the 12th century and host too many royal visitors throughout history. During the summer months why not have a look around the grounds which are open to the public free of charge. Move on from here, around the pond created by the Bishop Henry de Blois 700 years ago, and on to the Railway which was constructed in 1862 as a result of the towns rising commercial status. The next stop on the trail takes you onto St George’s Square, the site of the former Market House building which was predominately used to hold prisoners during the early 18th Century. A well deserved stop at Josie’s Coffee Shop is next, whose history can be traced back to 1617. After regaining your strength visit the iconic town clock house and then stroll through St. Peter’s street, which claims to be one of the prettiest streets in the town. This leads on to The Bank House, founded by William Gunner in 1820 to help local farmers and business people from surrounding areas. Take a wonder down Basingwell Street, whose name was derived from the spring that arose there, followed by Houchin Street which was originally known for making ropes for the Royal Navy. The final stop on the tour is the Crown Inn which played a large part in key events of Bishop’s Waltham History. Your journey can then continue back at the Palace, or why not visit some of your favourite sites again.